Rock Solid Construction & Concrete - Wisconsin's Concrete Flatwork Specialists! 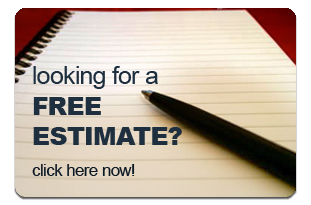 Fully Insured with FREE onsite Estimates! Rock Solid Construction and Concrete provides top quality concrete installation services at competitive prices. From concrete slabs, to concrete driveways and sidewalks, to decorative concrete patios, Rock Solid Construction and Concrete does it all. As a state licensed and certified concrete contractor, we offer our customers' peace of mind. You can rest assured that any concrete work done by Rock Solid will be done right, the first time. In addition to our concrete work, we also build new garages and will remove unwanted concrete and asphalt. At Rock Solid Construction and Concrete we stands behind all of our work. Service and end product was fantastic. When we had a question, Scott was there to answer. When we had a problem with the old roof leaking and water damage in our porch, he came right over. He shoveled off the roof and, as soon as it was safe to put on the new one, he did. Scott also redid and repainted our whole porch. Did a much better job than the original. I have used Rock Solid – Scott Hrncirik three times in the last 2 years. I have found that he does excellent work at a fair price. He is willing to quote work for any size job, perform the work as requested and will stand behind his work. We used Scott for a colored concrete patio that turned out excellent. I like the work he does, his attitude, and his persistence. My wife and I are very happy with the concrete work "Rock Solid" has done for us. They are very professional, do excellent quality work, with superb cleanup and landscaping. They even cared for the neighbors. We have received a lot of compliments, just from people walking by. Thank you again! I picked Scott and the RockSolid Team to do my patio because after calling around he had the best price and they wanted the job more then anyone else. They did a fantastic job with our new stamped patio. I will call Scott and his team for any job in the future. Thank You! We provide concrete contractor services in cities across Wisconsin!